A hot water boiler is an appliance that heats and uses water to provide heat throughout the home. Once the water is hot, it distributes the water throughout the home via pipes, and radiates heat into the rooms with either a steel or cast iron radiator, or baseboard convectors. Hot water boilers can be fueled by natural gas, propane, or oil. Oil burners typically require more attention and maintenance than their gas burning counterparts. While a hot water boiler system is more complex than a standard forced air furnace, it typically is more reliable and has fewer problems overall. When problems do arise, they usually relate to the expansion tank or water circulator pump, all which can be easily fixed by your reputable plumber. The expansion tank must be properly charged with air in order to run properly. If you touch the expansion tank, the bottom should feel hotter than the top. If not, the tank has too much water, and should be drained of excess water. The system will recharge in a few hours after it is refilled to the proper levels. The water circulator pump will cause leaks around the boiler unit when the pump starts to fail, you have a faulty pressure relief valve, or you have a leaky water pipe connection. 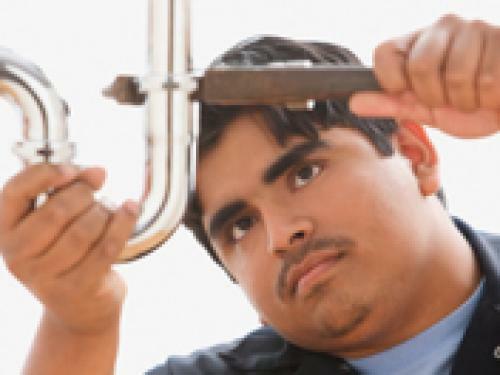 In most cases you will need to have your plumber fix the problem. It could be as simple as cleaning out sediment and replacing a valve, to repairing pipes and connectors. Just like more traditional furnaces, hot water heaters, and other appliances in your home, having regular scheduled preventative maintenance every year can keep your boiler system in top shape, and keep you warm all winter long.